Why Choose Mole Hill Bikes? We hand-pick our products from the best bicycle brands in the world, so that you don't have to. By doing this we are able to offer you competitive pricing, quality products, and the best customer service in the industry. We aren't your average bike shop. Our staff is helpful and passionate about cycling, and most of them have been with us for over 15 years. We will listen to your needs and work hard to help you find precisely the right products for you. Bring your bike in to let our service technicians give it the love it deserves. Our head bicycle technician has been with us since 1992 and has a wealth of knowledge to help fix your most challenging problem. We’re dedicated to helping you find the perfect bicycle for your riding style and budget. We carry a wide selection of bikes and cycling gear for beginners and experts alike, and we’re here to help you select the equipment that best meets your needs as a cyclist. Our qualified professional bicycle technicians service all makes and models of bicycles. Visit us for a free estimate, and count on us for quick turnaround times and quality bicycle repairs. Welcome to Mole Hill Bikes, your full service bicycle shop located in the Central Shenandoah Valley of Virginia. We strive to give you competitive pricing along with our good-old-fashioned service. In the mid-eighties, Gerald Knicely saw the need for a bike shop in the Dayton area. 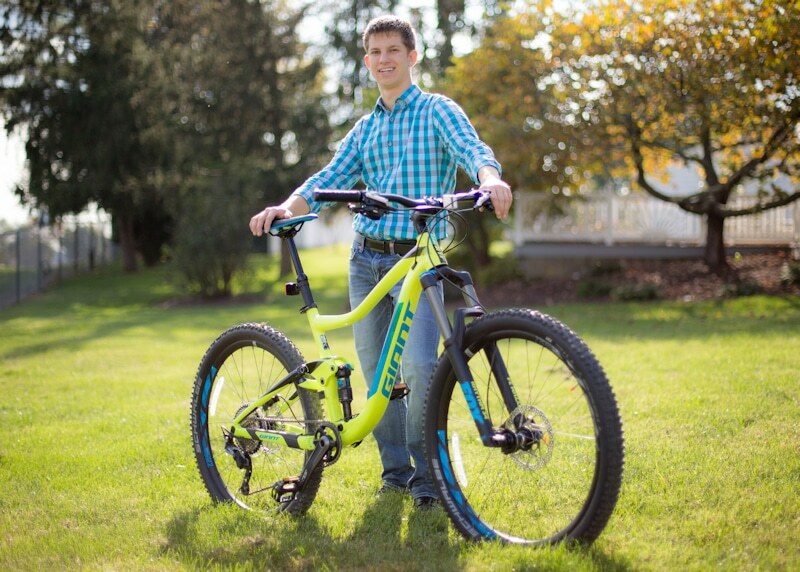 After learning that Back Alley Bikes had closed in Harrisonburg, he was able to purchase their equipment and inventory with a loan from an uncle. Mole Hill Bikes was started in a storage building that Gerald built on his dad’s dairy farm, at the base of Mole Hill, a small mountain in the heart of the Shenandoah Valley. In 1992, Gerald purchased the Dr. Jake Huffman property, added on the existing showroom and moved the shop to Dayton. Today, 30 years later, Mole Hill Bikes continues to provide personal service and value to you and all our other customers in the Shenandoah Valley and beyond. Gerald continues to manage the day to day details of Mole Hill Bikes. He loves the challenge of researching brands and products to find options that offer exceptional quality and value to the customer. Providing quality products and personal service is still a top priority for each customer. He enjoys gardening and working outside in general. He is always looking for a new place to go camping with his wife and five children, especially if it has a nearby rail trail to bike on. Jordan is our head of sales and marketing. He is currently in college at Blue Ridge Community College and is studying business marketing.He enjoys all types of athletic activities including cycling, running, weightlifting, swimming, and snowboarding. He is is the son of Gerald Knicely and has spent his entire life in and out of the shop. Jordan also loves to travel. He has been to all of the lower 50 states, Canada, Mexico, Belize, and Puerto Rico. He is also looking forward to spending several weeks this summer in Thailand on a mission trip. Alfred, whose sole transportation is a bike, has been riding the five miles from his house to work since he started working for us in 1992 . He is a veteran bicycle technician of over 24 years, that enjoys cutting wood, birding, and attending all of the local auctions. He has an extensive bike collection, which is large enough that he can’t give you the exact number of how many he owns. In 2015 I started leading the “No Drop” mountain bike rides for Mole Hill Bikes. I’ve enjoyed meeting new friends and making memories on the trails. I also enjoyed representing Mole Hill Bikes in the Virgina Off Road Series. Shannon continues to support the bike shop through public relations, coordinating group rides and organizing social events.